We are obsessed with all things pom-pom and tassel! 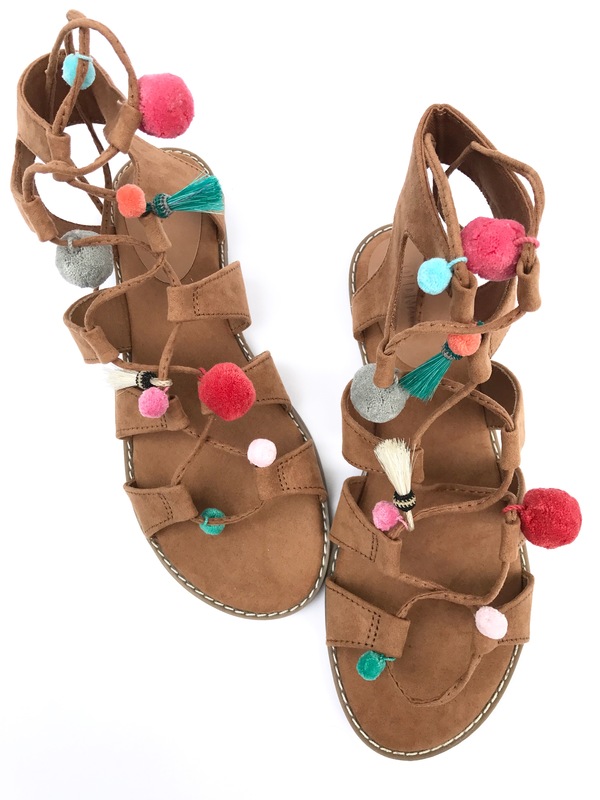 Seriously… if it has a tassel on it, it just got cuter, and we are buying it. Shhhh, don’t tell our hubbies. We wanted to share this EEEEAAASSSY DIY with you guys so you can create a pair for yourself in all of your spare time. Ha! I (Jenni) decided to take this on because I was not finding the perfect pom colors on my perfect sandal for a decent price tag! Ya feel me? I haven’t done a DIY in a while, so I was mad excited to get my hands on my absolute fav pair of gladiator sandals and customize them. Here is where it all gets good…. my sandals are from Old Navy, which means they are budget friendly, and they are so freaking comfortable. 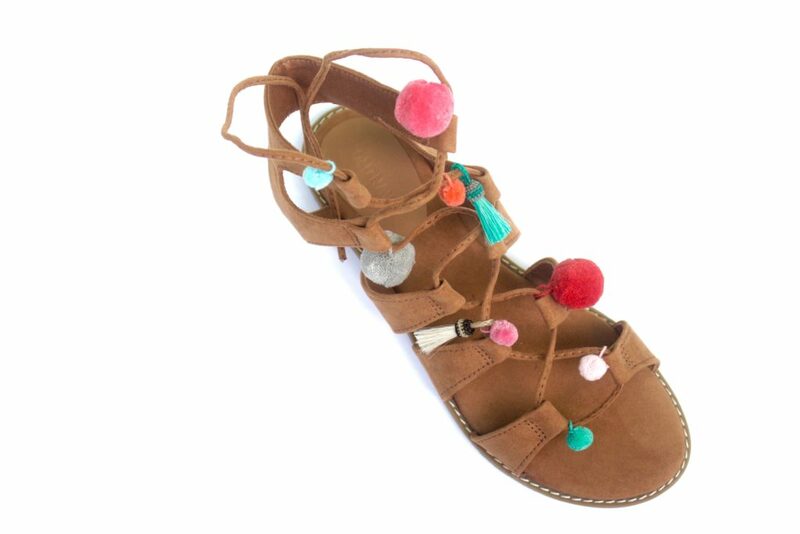 Secondly, we came across our friend, Carter’s, shop on Etsy and entered into tassel and pom-pom heaven!!! You may even have a hard time picking, which I totally did. Her options are endless, so you will have a so much fun picking your own colors. – Unlace the sandals. I had to cut off the tassels at the end of my strings because they were too big to fit through the holes. 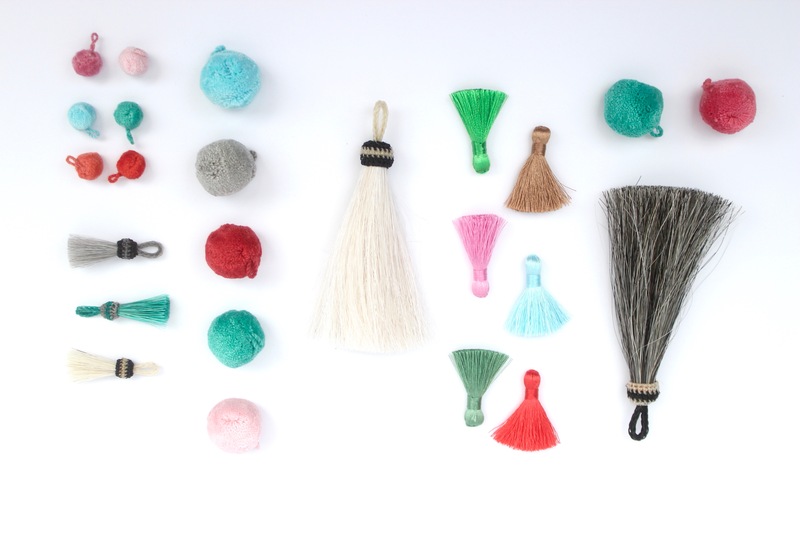 – Make sure your laces are even on both ends of your starting point and start stringing your poms and tassels! Oh and last step…. make all your girlfriends wonder where. you. got. them!!! If you want to try and make these on your own, but need a little help, be sure to head over to our IG for a fun giveaway! 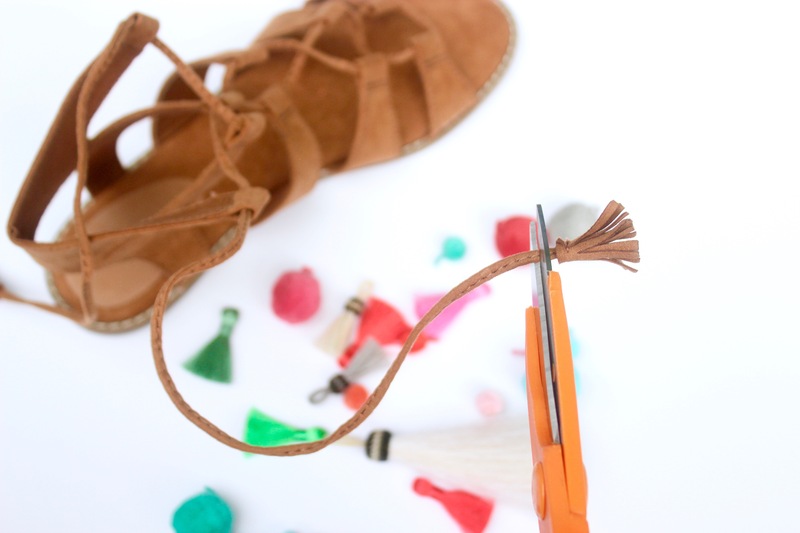 You could receive your own sandal making kit complete with the sandals, poms, tassels, and a pack of tattoos! If not for you, enter for a friend! !